Empower Interest Free Loans help to make life just that little bit easier by offering interest free micro loans to Jewish people of all ages, for a range of purposes. Whatever your needs, your application will be treated with understanding and total confidentiality. Our aim is to enable individuals and families to realise their own economic wellbeing and to feel in control of their finances. 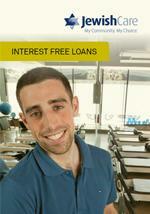 Empower loans are a flexible, impartial and confidential alternative to borrowing money from family and friends. Empower is a member of the International Association of Jewish Free Loans based in Los Angeles, USA. For more information about Empower Interest Free Loans, download the brochure below and contact our Front Door on (03) 8517 5999 or submit an online enquiry.